In the ten years since 90 Minutes in Heaven was first published, millions of people worldwide have read the incredible true story of Don Piper’s experience with death and life—and in reading have found their own lives changed. Experience the continuing story of 90 Minutes in Heaven with a special anniversary edition. Along with the story of his accident, death, return to life, and painful recovery, Don offers personal reflections on the impact the book has had on him, his family, and the millions who have heard his story. Also included are true stories from readers about the effect 90 Minutes in Heaven has had on their lives, favorite Scriptures and quotations on heaven from Don, and more. Discover for yourself the book that everyone has been talking about—and watch your life change for the better. One day Eva Piper was an elementary school teacher, the mother of three, the beloved wife of a strong, protective husband. The next day she stood at the bedside of a broken man who could do nothing but moan in agony and turn his head away from her. 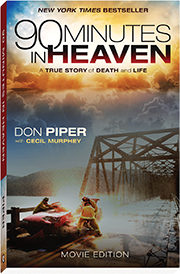 Don Piper’s testimony, told in the New York Times bestseller 90 Minutes in Heaven, would one day bring hope to thousands. But all that was in the future. Despite family and friends who kept vigil with her, Eva Piper found herself essentially alone. Walking in the dark. And she had always hated the dark. This is the story of a woman learning, step by darkened step, to go places she never thought she could go and growing into a person she never thought she could be. 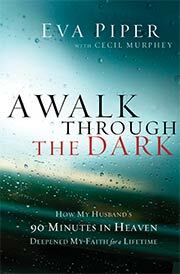 Packed with hard-earned wisdom about what it means to be a caregiver, to open yourself to the care of others, and to rest in God’s provision, this book provides a dependable source of light to help you walk through the dark. 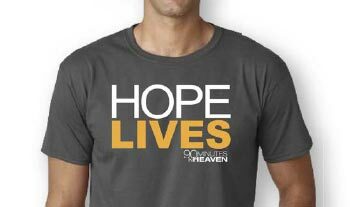 These comfortable t-shirts are 100% ring-spun, combed cotton and are designed to promote a conversation and the life-changing message that Hope Lives in Christ. 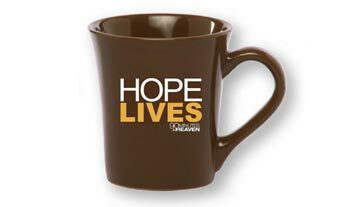 This ceramic mug will serve as a daily reminder of that Hope Lives within us thanks to Christ. This extra large 16-ounce stoneware coffee mug has a unique shape and high-curved grip for easy grab-and-go handling. 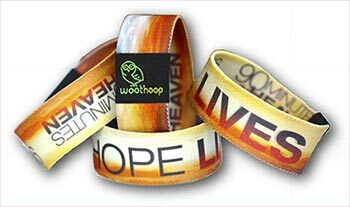 This one-of-a-kind woothoop is a full-color bracelet made of soft, stretchable elastic that is imprinted in full color on both sides, making it reversible. One side reads 90 Minutes In Heaven while the other side reads HOPE LIVES.